The northwestern plains are reeling under dry and hot weather for the past few days. Only a few parts of Rajasthan witnessed isolated activities. 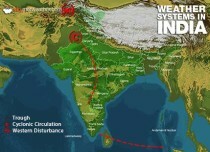 As per Skymet Weather, a Western Disturbance is moving across Jammu and Kashmir and a cyclonic circulation is lies over Central Pakistan and adjoining area. In fact, dry northwesterly winds are blowing over many parts of Punjab, Haryana and northeastern parts of Rajasthan. Moreover, southerly moist winds are reaching up to many parts of Rajasthan. 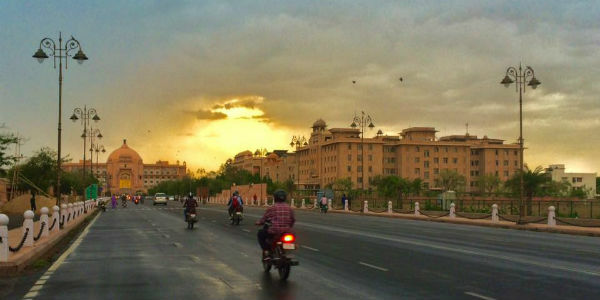 These weather phenomena's may trigger rain and thundershower activities over Southeast Rajasthan and adjoining North Rajasthan. 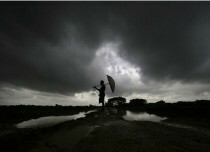 In wake of the weather systems, the temperatures are expected to drop over Southeast Rajasthan. However, the northern parts of Rajasthan will remain hot and humid. 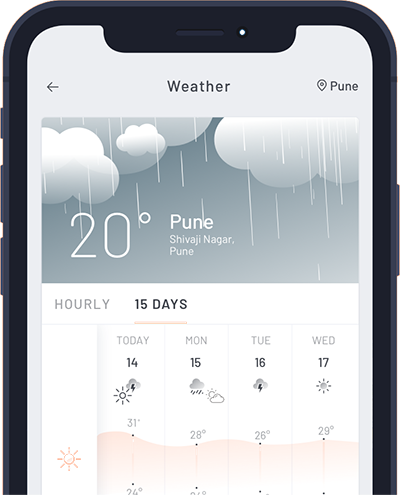 In fact, remaining states of the northwestern places such as Punjab, Haryana, Delhi and West Uttar Pradesh may witness isolated thunderstorm or dust storm activity. 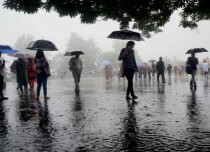 Districts such as Chandigarh, Nawashahar, Bhatinda, Pratapgarh, Kota, Jaipur, Sawai Madhopur, Hisar, Sirsa, Mathura, Aligarh, Delhi, Noida, and Ghaziabad are expected to record isolated dust storm, thunderstorm, and light rain activity. Meanwhile, these activities will not have any effect over the temperatures in Punjab, Haryana, Delhi and West Uttar Pradesh. Thus, the weather during the day will be hot and the nights will be warm too. 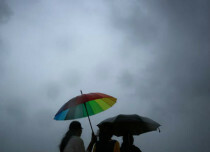 In wake of the Western Disturbance, Jammu and Kashmir, Himachal Pradesh and Uttarakhand will record light rain.